Cookies World: Is it 2015 already? I had my car serviced today, in an odd experience they emailed me a video of my car being inspected including a breakdown of the many expensive fixes it needs. Sign new Brakes, callipers and disk sigh just what I need after Christmas. Kath was here for nearly two weeks over Christmas. She arrived on Boxing day at Liverpool. On the 27th we had redux of the Christmas meal with my parents. They made the full works again, from turkey to cranberry sauce to sausage meat and sprouts. We had an awesome time together. Kath got me a new camera lens for Christmas, 70-300mm. 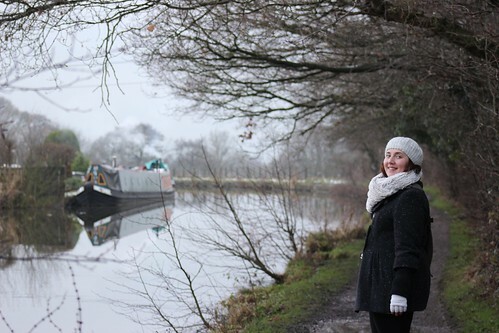 We took some really nice photos whilst on walks to Poynton Canal, Lyme Park and Macclesfield forest. It was a great present, took great photos and memories. Apart from walking we managed to catch up with as many people as possible. Including a lovely meal out at Sam's Chop house with Andy, Tilly, Ian, Helen, Dave, Claire, Will, Tracey and Macca. We also had a couple of Japanese style meals thanks to the sushi set Bruce and Nina got us. We made a meal for Jo and Holly one evening and had enough to make another for Phil and Caroline the next day. Making the Japanese food was both fun and stressful, somehow we managed to have an argument about measures of water for the sushi rice. On a positive note I don't think I will forget how to season the rice. After the hiccups we managed to make up and in the end prepare some great food which I think Jo and Holly enjoyed very much. On New Years eve we were invited to Matt and Christelle. She made a lovely meal and we all had a great evening chatting drinking and eating large amounts of food.